We are all fun using the Beki words for expressions. It's so funny to hear those words that's why we ended up using them when talking to our friend. 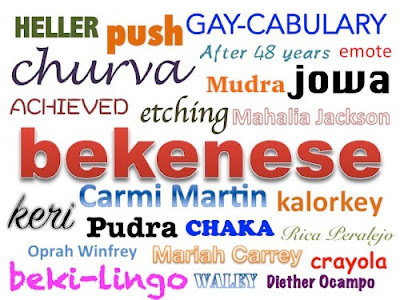 Even though you are straight male or female, we just can't resist using some 'Gay Lingo'. However, there are some words that Bekis rarely use now. Meaning, to be surprise or Amaze. Some Beki are not using 'Bongga' anymore when they are surprised. Rather, they are using 'Ka-vouge' or 'Kabog'. "Wow! 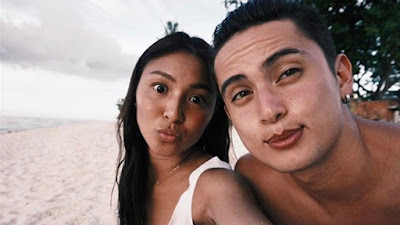 Ka-vouge nama niyang birthday gift mo sa Jowa mo!" Meaning, Okay. Nowadays, Bekis are now removing the 'bel' in 'Keribels'. They are now just using 'Keri' to express that it's fine to them or they are agreeing on something. However, Bekis use the word 'Laban' (Fight) to agree on something. "Hiramin mo lipstick ko? Laban lang sis"
This expression is no longer used by Bekis or Women. Sometimes, Men are using this expression to imitate gays, but when Bekis hear this, they feel like meh! Men be like, "Chorvahin mo na yan!" it means, they want you to eat something. So the example would have the same meaning. "Go sis! Lafangin mo na yan!" - Presently, Bekis using straight to the point words. It means 'Go! '.Some Bekis are still using this word. Because of Beki's playful mind, they rather use funnier words than this. They are now using 'Attack' or 'Ghost'. "Umattack ka na ba sa Enchanted Kingdom? Ganda di ba? "Ghost ka na dito sa bahay friend." Before, Bekis are using this words to describe or identify cute guys, but now they've changed it to 'Burap' or 'Cuticle'. "Friend, tignan mo yung lalaki sa likod mo ang Burap!" "Cuticle naman niyang Jowa mo!" Now you know what to use in the future. You can still use it, but if I were you I will play those words to make it funnier and to talk like Beki without being a Beki.